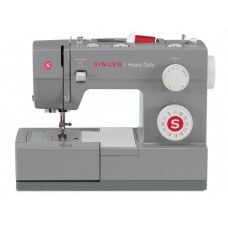 The Singer Sewing Centre in Queen Street, Penzance services and repairs all makes of sewing machines and most overlockers. You can drop off your machine Monday to Thursday between 10am and 4pm or telephone 01736 363457 to arrange a time outside these hours. 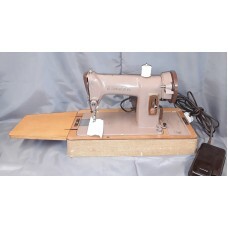 We sell used sewing machines which are fully serviced and guaranteed for three months, email or telephone for details of our current stock. 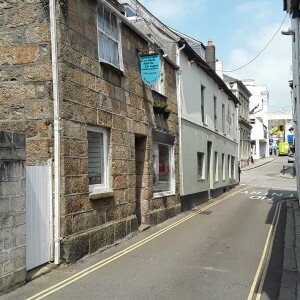 We prefer you to collect them from our shop in Penzance so that you can inspect them and try them out if you wish although we can arrange delivery, at a reasonable cost, within Cornwall, Devon and Dorset. 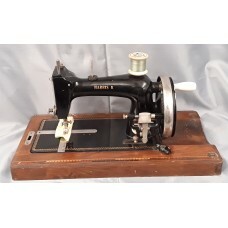 We stock needles, bobbins, machine oil, presser feet and other accessories. 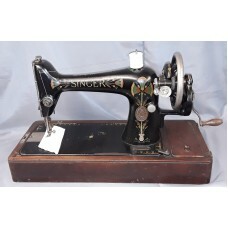 Vintage 1919 Singer hand operated sewing machine, model 66KManufactured in Kilbowie, Scotland.Straight stitch onlySupplied with accesories in good wor..
Vintage 1918 Singer hand operated sewing machine, model 66KManufactured in Kilbowie, Scotland.Straight stitch onlySupplied with accesories in good wor..
Vintage 1905 Singer treadle operated sewing machine in cabinet, model 66K. Manufactured in Kilbowie, Scotland. Straight stitch only. 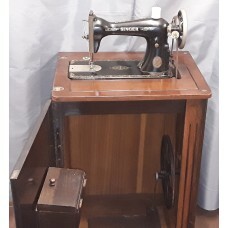 Supplied with acc..
Vintage 1959 Singer electric sewing machine, model 185KManufactured in Kilbowie, Scotland.Straight stitch onlySupplied with accesories in good working..
Vintage 1930's Harris K manual sewing machine, model Saxonia type.Manufactured by Haid & Neu.Straight stitch onlySupplied with accesories in good ..
Modern Janome New Home electric sewing machine, model 110.5 utility and 5 decorative stitches. 4 step buttonholeSupplied with accesories in good worki.. 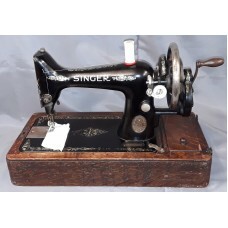 The Singer Sewing Centre in Queen Street, Penzance services and repairs all makes of sewing machines and most makes of overlocker. You can drop o.. 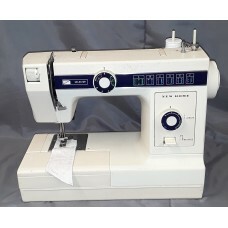 Repairs and servicing of overlockers and domestic and industrial sewing machines. Contact the engineer Dave Girling on 01736 753811 email se..